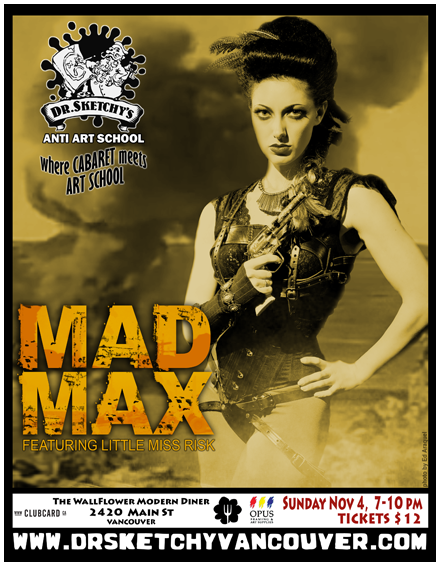 photo by Shimona HendryIn an apocalyptic lifedrawing class, Little Miss Risk is a savage Road Warrior. Posted in 2012 and tagged with Little Miss Risk. November 4, 2012 by Shary Contrary.